The Witch Trials is an interesting historical drama centered around the life and times of a middle-class woman living in France during the 16th century. What served as your inspiration while writing this book? I imagined how difficult it would be during the middle ages to be a strong, intelligent woman, constantly having to hide their true self for fear of ridicule or rebuke. Then it hit me, I should write a story illustrating that. I also am inspired by world history and how all cultures and countries tie in together and effect one another both knowingly and unknowingly. I enjoyed the historical accuracy in this book. What kind of research did you undertake to get things right? Allot. Which is why I usually shy away from writing these type of books. However, I wanted my first published books to showcase my writing skill and I felt the best way to do that was to have an organized field of reference. I love learning about history and seeing how that contributes to todays society. As the medieval time period is my natural obsession, I picked a topic that many people know of, but dont really know the historical background to, within that time period. I used typical college outline format as a baseline and timeline reference and filled in the blanks with my imagination. My next series after Witch Trials, a novel currently in edit, will showcase my imagination more in depth. Sylvie’s character is an intriguing character who struggled for a dream beyond what many women settled for at the time. What were some themes you wanted to capture in her character? 1. Knowing that you have something so invaluable to those around you and feeling a spiritual calling to share it, but fearing to release it. (More captured in book 2 of Witch Trials). 2. 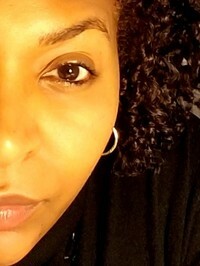 Discovering a tolerable balance as a women in this time period; knowing when to show strength and when to hold back. Witch Trials is a short story series. So I am currently working on book 2 now. I expect it to be released in time for Christmas. I am also working on a fantasy novel currently in edit. Once upon time, women struggled to gain notoriety capable of any feat besides household responsibility. The struggle was life and death in the resistance of recognizing the inevitable rise of women. Starting life in Italy with a wealthy protestant family. Sylvie idolizes her father Dr. Fiore. Sylvie has her hopes set on being one of the first female doctors known to the area. But when Sylvie is married off to a wealthy craftsman named Leon, in France, she quickly realizes that this dream may be out of her reach and possibly run the risk of death. Is Sylvie’s dreams worth dying for? This book starts our journey in a small town of Eze in Southern France in the late 1600’s and tells a fictional story based from real time events in our history. This is book one of a new short story series. 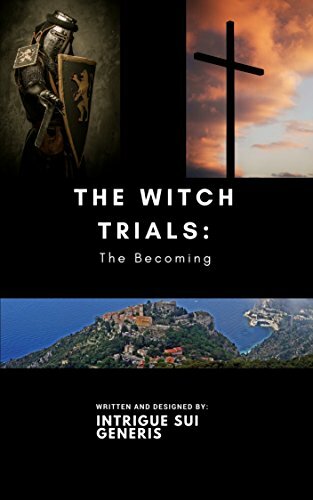 The Witch Trials: The Becoming, by Intrigue Sui Generis, is a short work of historical dramatic fiction. The book is centered around the life and times of Sylvie, a middle-class woman living in southern France during the late 17th century. The story is predominantly about her life, her personal difficulties, and the broader milieu of the time period. Much of the story also concerns her husband Leon and his relationship to the broader Catholic Church, though the nature of this relationship is not well described, or at the least it is unclear how he is so involved with the church despite his main profession. The book also includes content about the broader scope of the time period. The historical content of this book reads as semi-fictions with the author’s experiences, beliefs, worldview, and sense of morality bleeding into the pages of this book. The 1600’s in France were themselves bloody times, but the author largely washes away that bloody history, due in part to a lack of detail in the story. The story also includes much more active female roles, especially for those of a middle-class status during that time period. While it is heart-warming to think of a female character, seeking to rise above her station in a steeply patriarchal society infused with, what we would consider, harsh and vile religious fundamentalism, much of it is romanticized so that you can follow Sylvie’s story through this dark time without feeling too down about it. Sylvie’s entire history prior to her marriage to Leon is contained within a single page, which seemed too short for me as I found her to be an intriguing character and I wanted to learn more about her. I enjoyed that this book was a short and concise novella, but at the expense of detail. Sylvie comes from a Protestant upbringing, but I felt it was unclear what kind of Protestant. The brevity of the story helps focus this book into a character driven novella, but leaves you wanting more. Overall, the historical additions of the book are strong and seemingly well-researched (as evidenced by the bibliography at the end of the text), but I would have loved to have this further fleshed out to lengthen the book, and these details would have clarified the setting and character motivations for me. The Witch Trials: The Becoming is intended for a young adult audience with a decent attempt at historical accuracy. There is sexual content, but it is only slightly more bawdy than a television show from the 1950’s. There are also depictions of human suffering, the outcome of torture, and threats of imminent pain and death, but these are also very sterile. Overall, this book is short and easily provides a few short hours of entertainment.